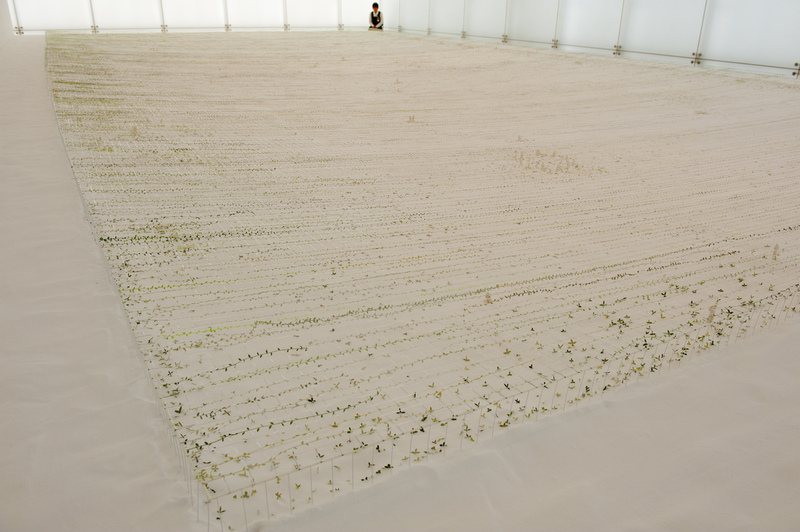 The works of Junya Ishigami are arguably the most provocative and transcendental (both conceptually and visually) of this intriguing current generation of Japanese architects. Or more precisely, of his contemporaries anywhere in the world today. Born in 1974, he delves into and straddles the ambiguous boundaries between art and architecture. 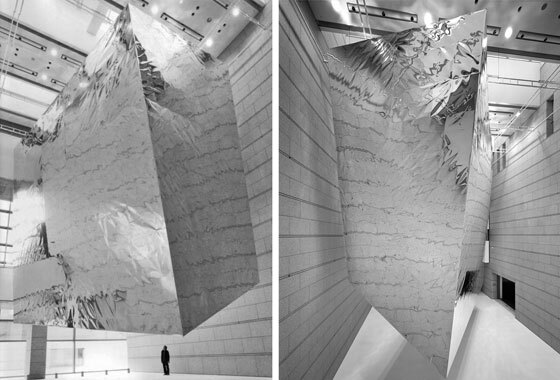 He takes apart conventional notions of the materiality, scale, structure of architecture. But it is not for the mere vanity of doing so, but rather to create a new scale of architecture that returns to the natural and elemental. For him, “in nature structure and space are not divided. Air is space but it also has a structure. 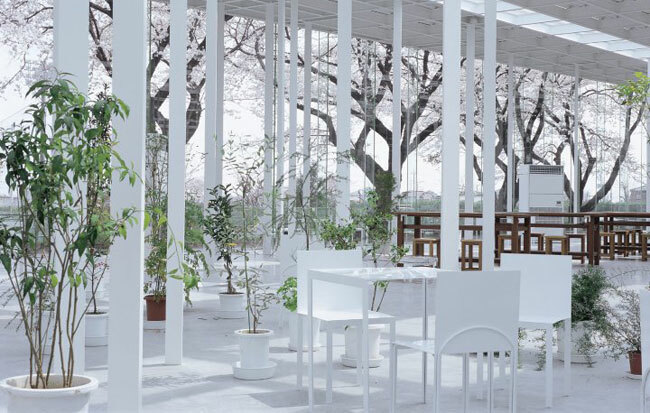 But architecture divides these things.” Thus, Ishigami’s works push the norms of structure and material to the extreme, resulting in almost invisible structures that blur the distinctions between architecture and nature. 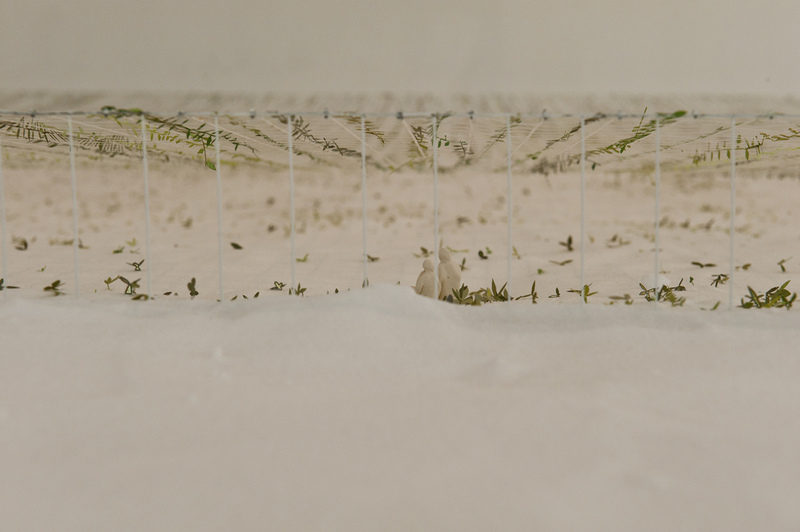 In this very recent work he presents an oxymoron – a nearly invisible structure. 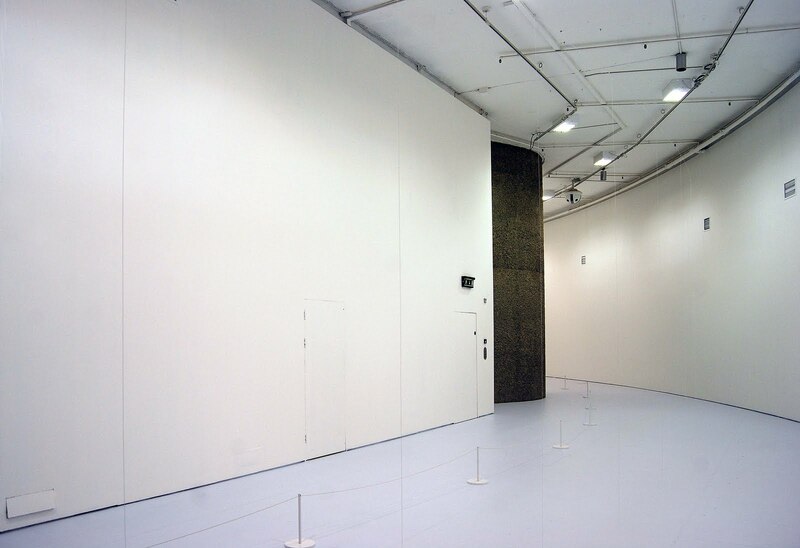 On first glance one merely sees the curved gallery space. 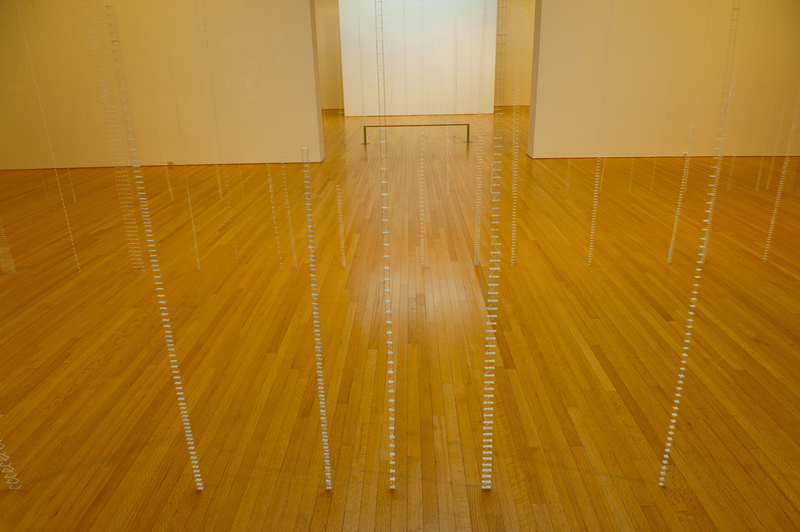 Closer scrutiny reveals a sequence of extremely fine vertical “columns” along the length of the gallery. 4 metres in height, these 53 “columns” are a slender 0.9mm thick and hand-rolled from carbon fibre sheet. They stand braced by a series of 2756 diagonal members, and beams run between the columns as well. The entire structure weighs in at a shocking 300g, a piece of virtuoso engineering accomplished with the help of Jun Sato Structural Engineers. Beyond the engineering, it takes architectural possibilities and understanding of scale, structure and material into a new dimension. It is an extension of his earlier installation “Architecture as air: study for château la coste” which was first shown at the Venice Biennale of Architecture in 2010 where it won the highest prize – the Golden Lion. The title of the exhibition is self-explanatory. 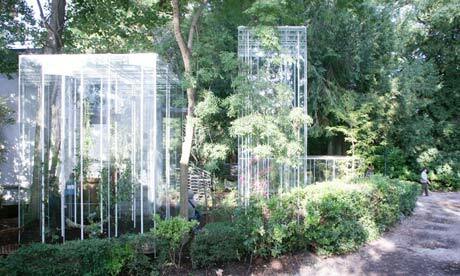 This installation takes the form of an aluminium parallelotope that weighs about a tonne. Filled with helium, it floats freely and randomly within the atrium space, constantly changing the quality and nature of the interstitial space. Ishigami makes allusions to nature again in this installation, essentially juxtaposing the weight of a mountain and the lightness of a cloud. 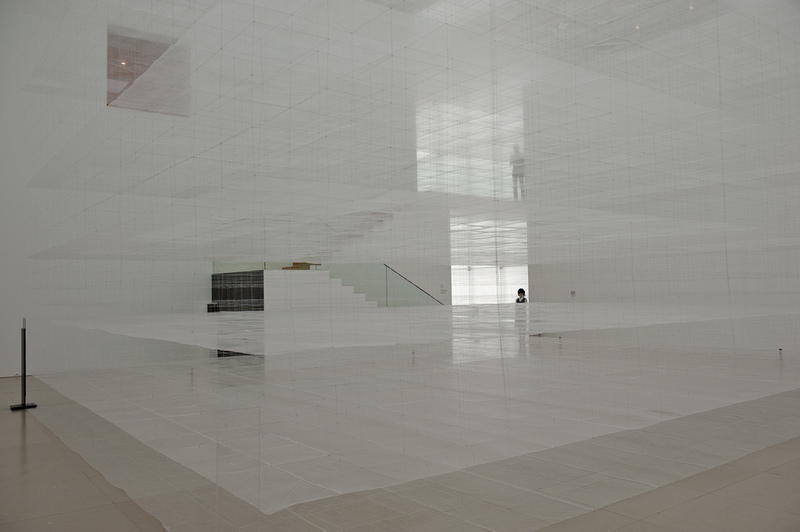 An intriguing interplay of perception, scale and material. 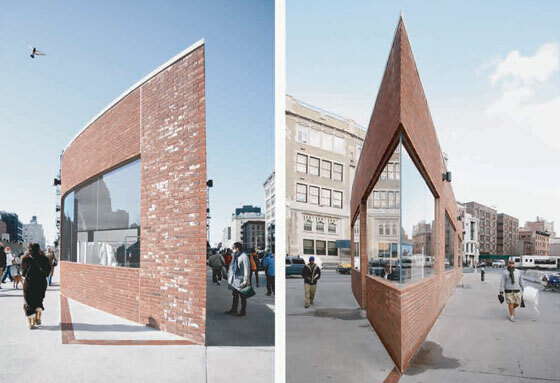 Located in the transient Meat Packing district of New York, the angular geometry of the building was informed by the footprint of the brick building that previously sat on the site. 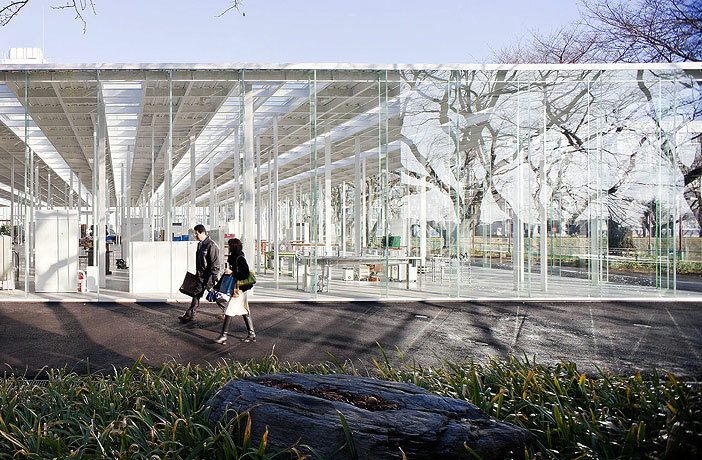 Ishigami spliced the architecture into two parts – the tip of the wedge as a product display space; the other part as the shop proper – to create street of activity through the spaces. In terms of crafting perception, the starkly acute angles give the impression of a depthless building as if it was a stage set. 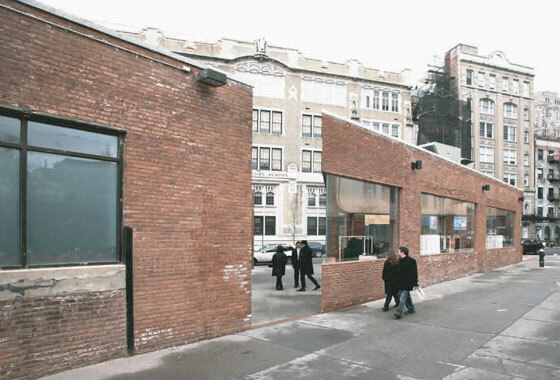 This is fortified by the break in the facade, which lend views of the urban landscape beyond. Unfortunately, the store has since closed. 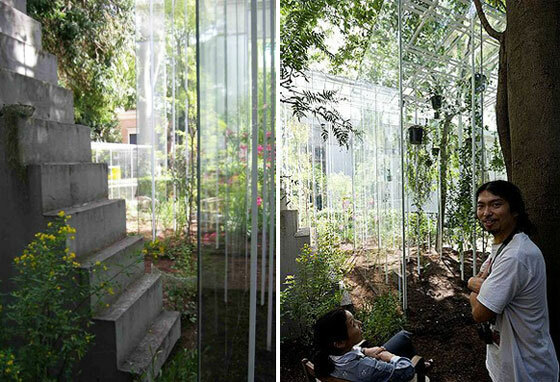 Essentially a series of ephemeral greenhouses infused with plants, it challenges structural norms and dissolves the stark divisions of architecture and landscape into an environment where the two are nearly miscible. 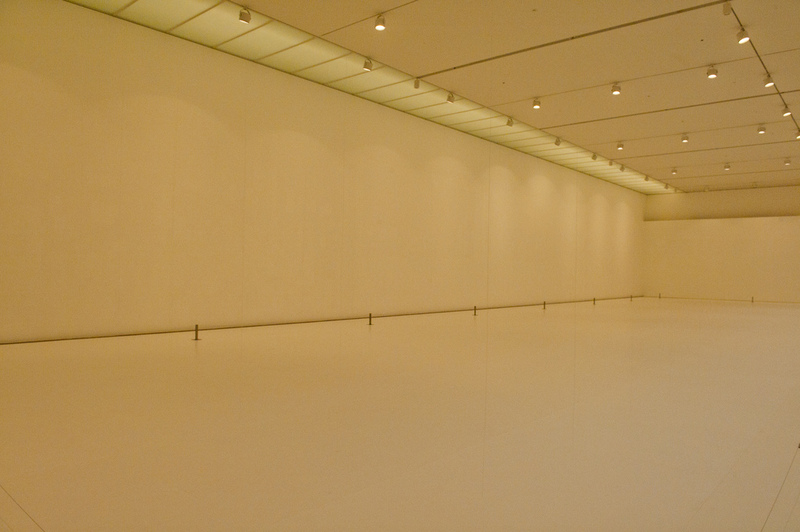 The interiors are filled with Ishigami’s intriguing drawings. 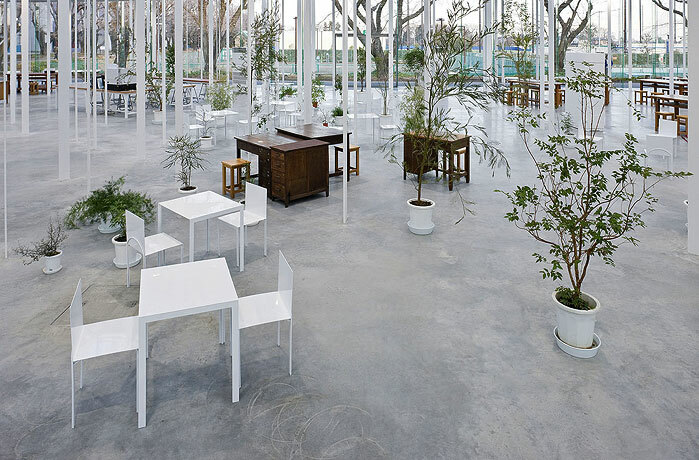 His most important architecture work to date, this design workshop presents an open plan sprinkled with random groupings of slender tree-like columns that provide support to a flat floor. 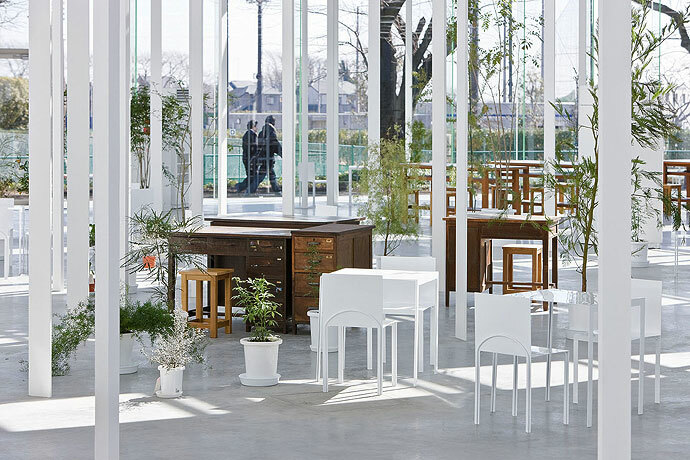 Filled with plants and coupled with an overall sense of lightness and transparency, the whole spatial atmosphere is like a “boundless landscape” as Ishigami has described it. 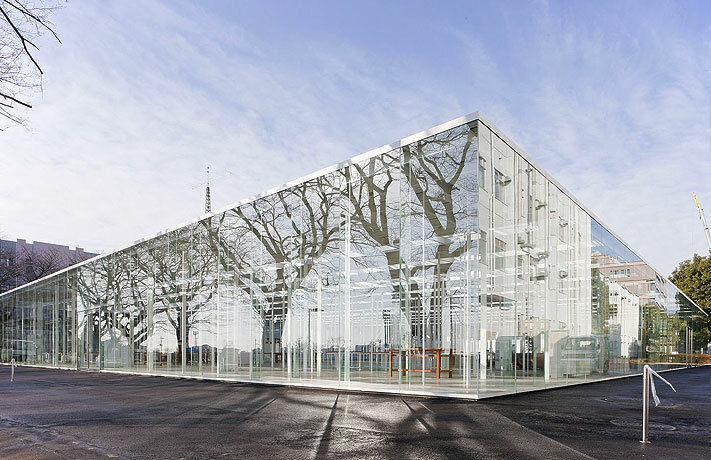 This entry was posted in Thursday Feature, Uncategorized and tagged Another Scale of Architecture, Architecture as Air, Balloon, Japanese architects, Japanese Pavilion Venice Biennale 2008, Junya Ishigami, Kanagawa Institute of Technology Workshop, Yohji Yamamoto Gansevoort Street Store by PY. Bookmark the permalink. Yohji’s shows unexpected surprise, love it!